Derek William Randall (born 24 February 1951, Retford, Nottinghamshire, England) is an English former cricketer, who played first-class cricket for Nottinghamshire, and Tests and ODIs for England in the late 1970s and early 1980s. Known to cricketing colleagues and cricket fans as Arkle after the racehorse, but always Rags to himself, he was one of the Wisden Cricketers of the Year in 1980. The cricket writer Colin Bateman said, "The Retford imp was, and still is, one of the most fondly admired figures in the game... the rolling gait and big sad eyes make him Chaplinesque – and like all clowns, there is pathos behind the public image... At times, genius sat on Randalls shoulders – the only trouble was it would not stop fidgeting". Randall played 47 Tests and 49 One Day International matches for England as a right-handed batsman before retiring to become a coach and cricket writer. Randall first came to note as a cover fielder, as one day cricket forced fielding standards upwards. His run out of Gordon Greenidge in the 1979 Cricket World Cup final highlighted this, and his partnership with David Gower was a feature of the successful England team of the immediate post-Packer era. Known for his eccentric movement at the crease, Randall was a determined batsman, specialising in hooks, pulls, cuts and cover drives, the former being used most memorably against Dennis Lillee in the Centenary Test in Melbourne in 1977 when he made 174, the highest Test score by any Nottinghamshire batsman in the history of Test cricket. After learning his cricket at Retford Cricket Club, Randall made his Nottinghamshire second XI debut in 1969, and his first-class debut against Essex at the end of May 1972, scoring 78 from number eight in the batting order with the next highest score being Garry Sobers 32. 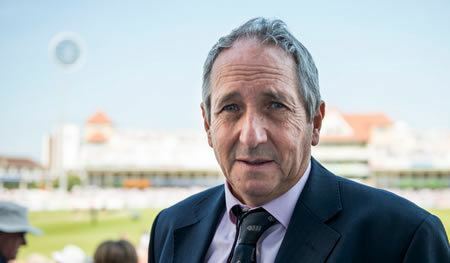 He won plaudits for his talent in the covers, won his Nottinghamshire cap in 1973 and went on to score 28,456 runs in all first-class cricket. Randall batted for the successful Nottinghamshire team of the early 1980s, winning the County Championship. With his team needing eighteen to win from the final over of the 1985 NatWest Trophy final, he hit sixteen from the first five balls, only to be caught in the outfield from the final delivery. He compiled fifty two hundreds in all, and made 209 and 146 in the same game against Middlesex in 1979, a feat unequalled at Trent Bridge. He scored 1,000 runs in a season eight times, took 361 catches and 13 wickets at 31.00. His first-class bowling strike rate of 37 balls per wicket, compared well to Richard Hadlees 45. 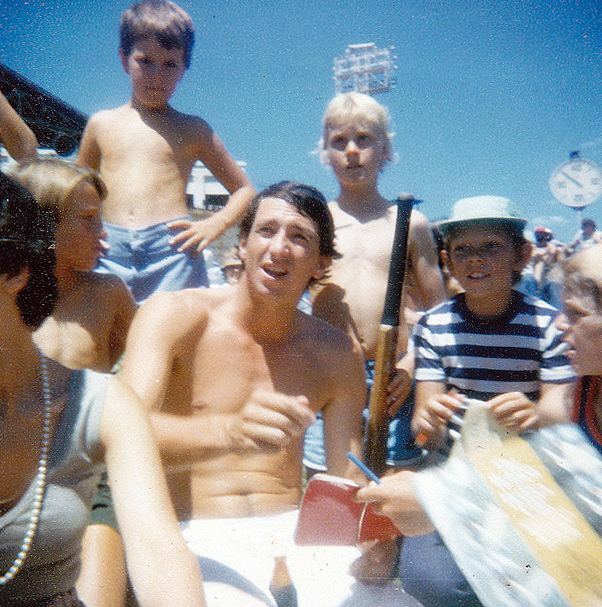 He was popular with the crowds, who found his enthusiastic fielding and comic antics entertaining. He was famous for running, rather than walking, towards the batsman in the covers as the bowler delivered the ball and was responsible for many run outs. During the Centenary Test, Randall scored 174 at Melbourne, against an Australian attack led by Dennis Lillee. He famously doffed his cap to Lillee, after narrowly evading a savage bouncer, stating "No point in hitting me there mate, Theres nothing in it". When finally dismissed he left the ground by the wrong gate, and found himself climbing up towards the Royal enclosure where Queen Elizabeth II was watching the days play. "She was very nice about it," he told the BBC. "She smiled. Someone else quickly put me right." He took the catch which clinched the Ashes in 1977 at Headingley, turning a cartwheel in celebration. 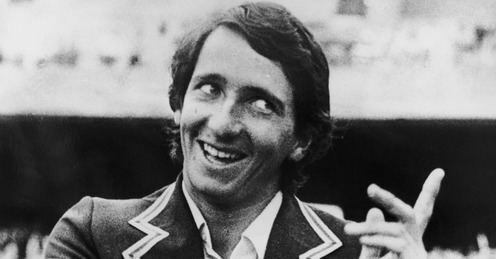 Randall performed well against Australia, with the next tour in 1978/79 bringing a 5–1 Ashes win and two man of the match performances for Randall. His knock of 150 in a series dominated by fast bowlers being the highlight. Randall scored centuries against New Zealand and India, and one from the position of opener against Pakistan, but he struggled against the West Indian attack of 1984, when he was asked to bat at number three in the first Test match of the summer, never to return. After retirement from first-class cricket, Randall coached numerous school and university sides, among many other projects. He coached Cambridge University and Bedford School; when Alastair Cook came through the Schools First XI, Randall recommended that the youngster be picked for the ECB National Academy. He also coached Bedfordshire in the Minor County Championship. The Derek Randall Suite at Trent Bridge is named in his honour. Randall is still playing for Matlock Cricket Club.